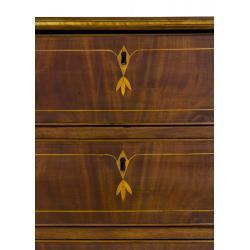 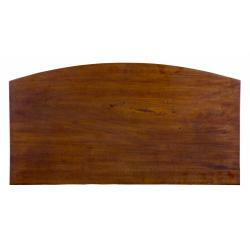 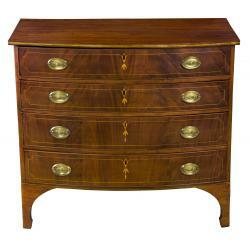 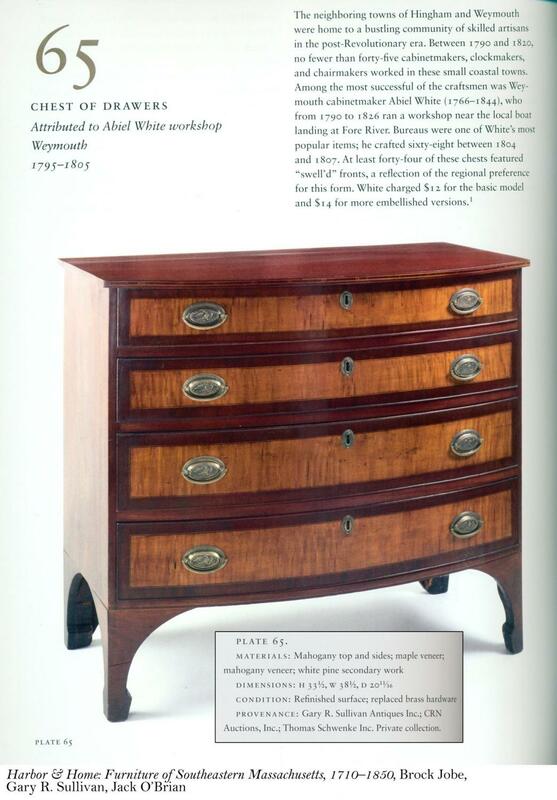 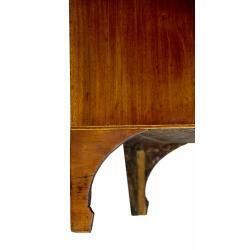 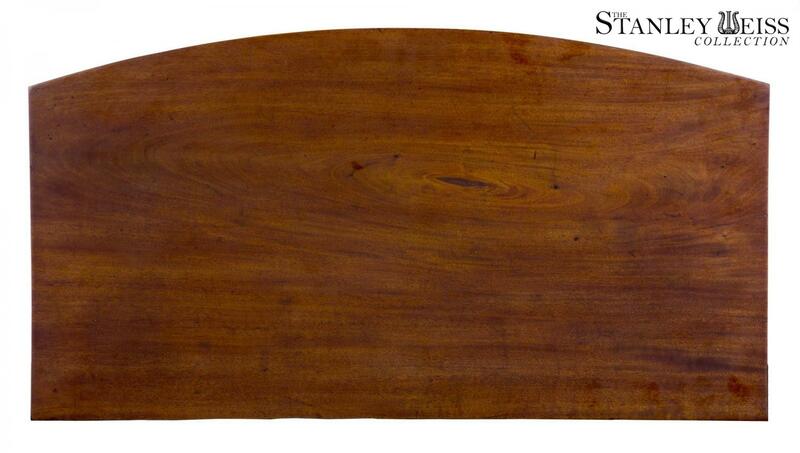 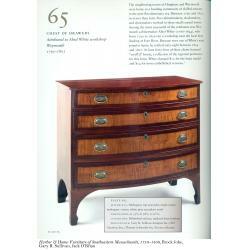 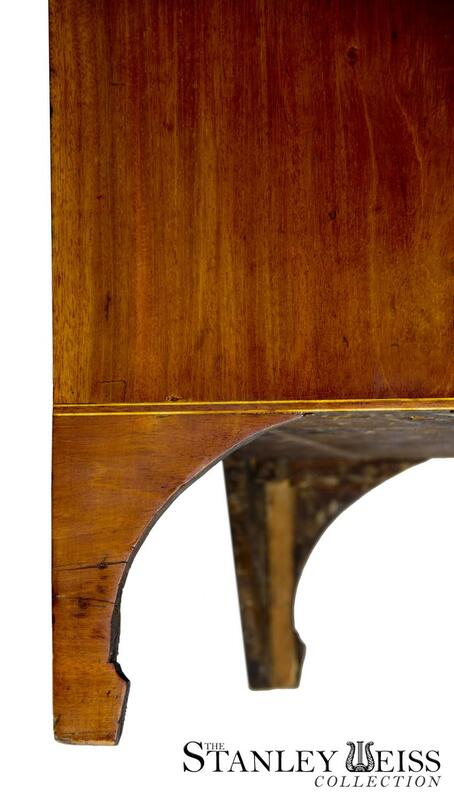 Note the solid mahogany sides and top with its inlaid satinwood edging. 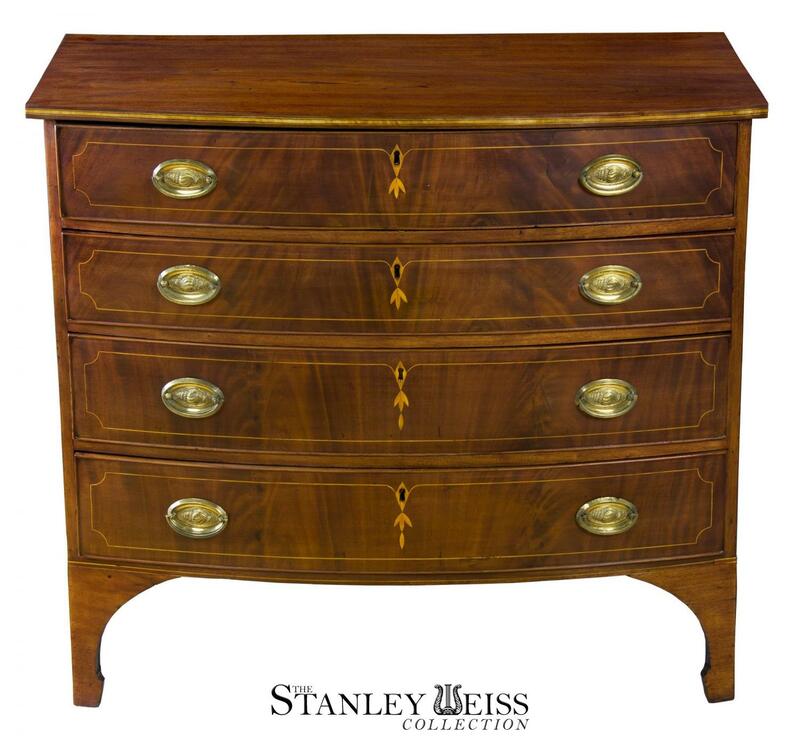 The wood is beautifully figured and of an amber tone. 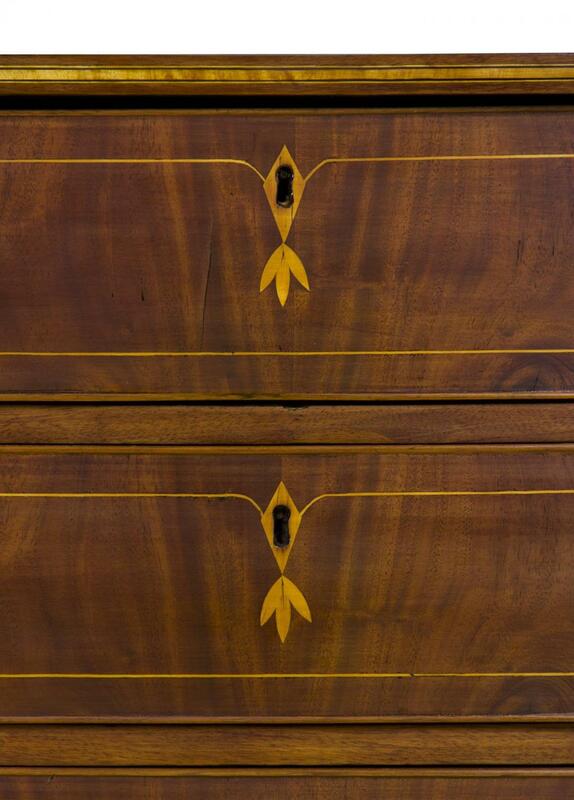 The inlaid escutcheon motif with pedals is quite unusual and gives this piece a striking appearance. 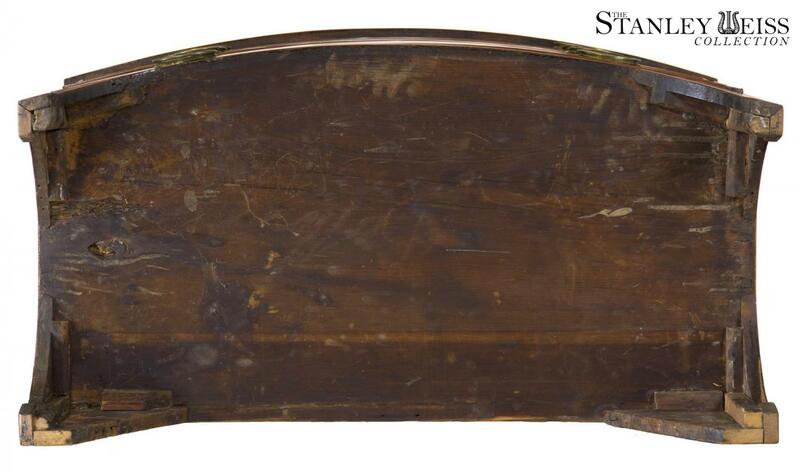 While the brasses are not original, they are of the period, and are of an unusual design we haven't seen before. 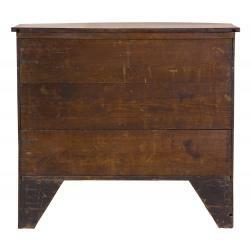 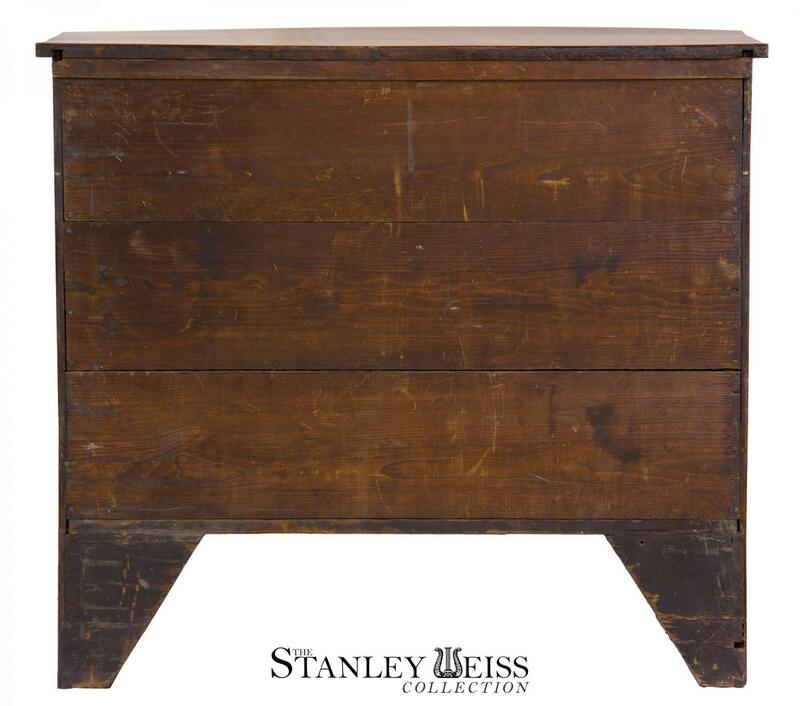 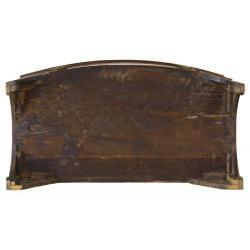 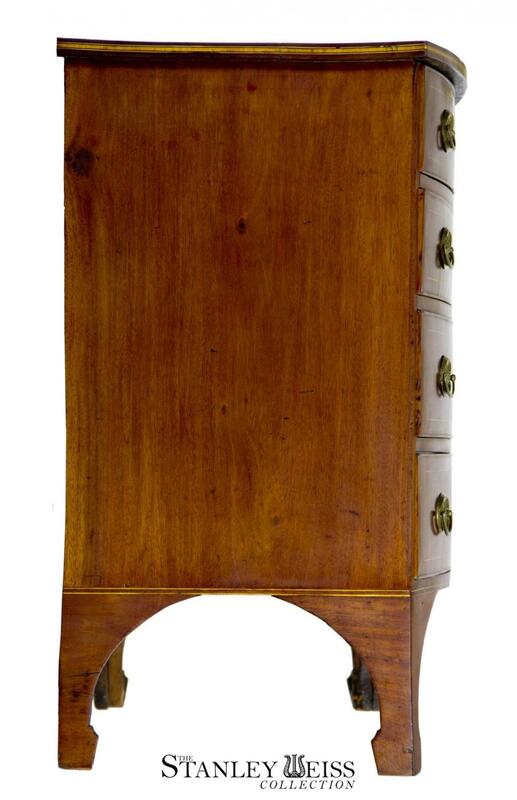 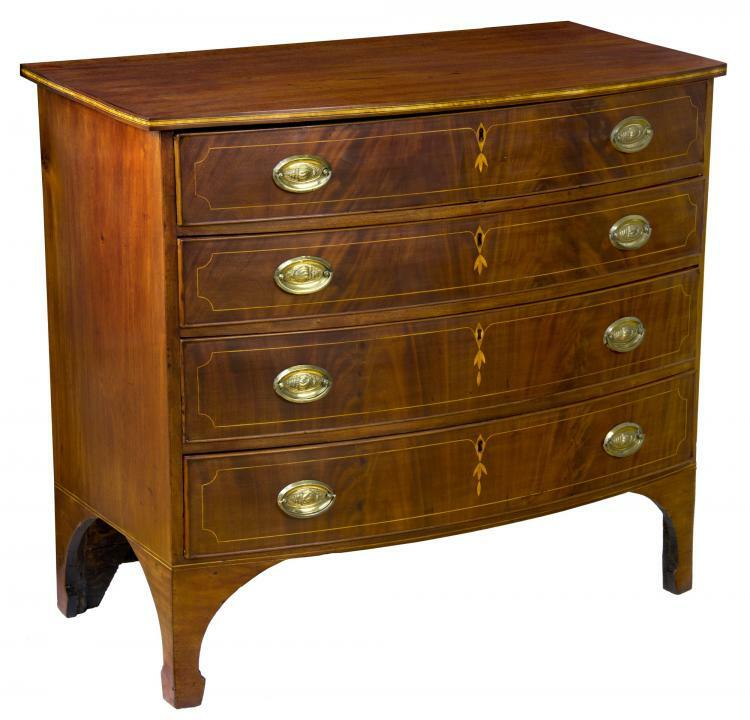 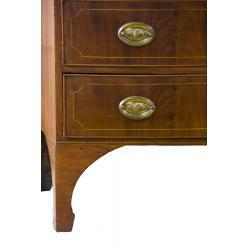 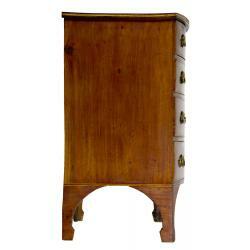 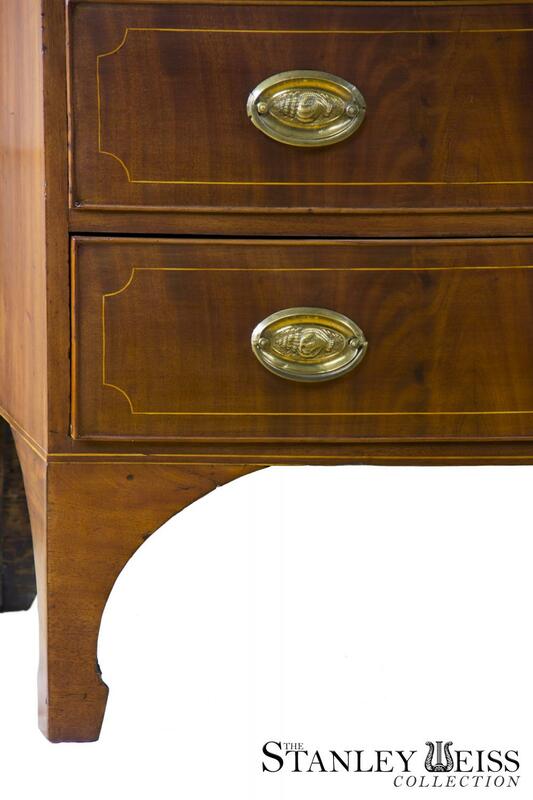 The chest has a light airy aspect and is in fine original condition, with no repair or restorations.